I live in the apartments butting up to the development and saw a group of men in business attire walking across the lot the other morning. They looked to have rolls of plans with them and we pointing around chatting... but I’m not sure what that could mean. Making plans for the future Kickball field? When the suits are out. Its a dead give away that its the architects, developer, and client. Now 1Q 2018 according to this recent brochure. That would be very welcome news. I'm skeptical about the groundbreaking given how long this project has been waiting already, but given that they announced groundbreaking for 4Q 18 in 4Q 18 it makes me think they are ready and will follow through. Fingers crossed but cautiously optimistic. Something tells me that vacant lot on Dallas next to the cemetery doesn't stay vacant long. Agreed. It says Phase 1 groundbreaking... do we know what is in Phase 1? My guess something got held up at permitting and considering how massive this development is...I assume that it took longer than expected. I thought that at the pace some of these developments were flying out of the permitting office that it would have started this summer, but that was probably a bit too optimistic considering projects that there are much smaller projects at my firm that are taking enormous amounts of time to get out. I wouldn't even be surprised if they had to do some slight alterations given the current climate regarding flooding and with this being such close proximity to the bayou I'm sure that took some time to get over. pretty sure it's the thompson hotel/condo and "lifestyle center" that connects to the park via walkway. might include some retail as well, can't remember. And Harris County permitting floodplain requirements changed at the start of 2018 following Harvey. You are probably right that adjustments had to be made. 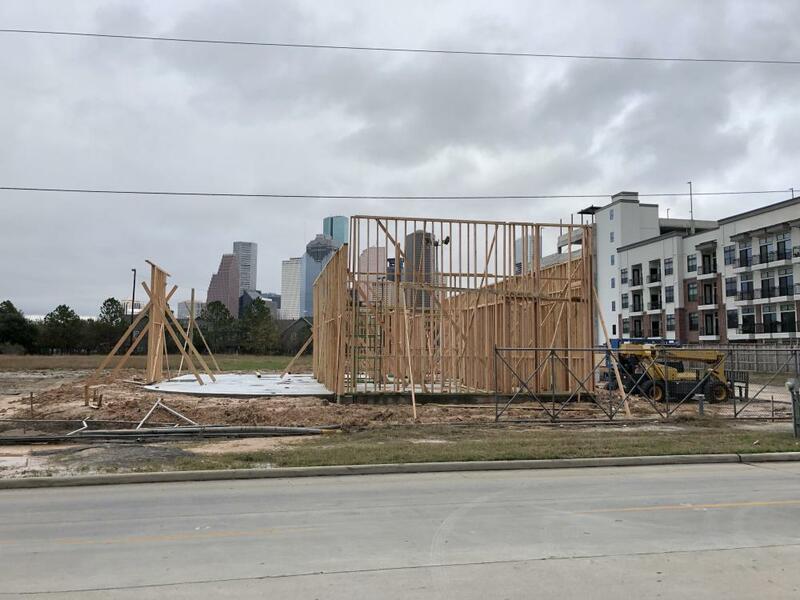 A few months ago a friend, who works at Equinox, and another friend, who works at Stream Realty, both told me that Equinox will be opening their second Houston location here. That should be an indication of the quality of retail they’re seeking and that this project is definitely moving forward. You can in fact, see the Equinox signage on the second floor of the retail building. I can almost guarantee that the "lifestyle center" apart of Phase I will be Equinox. Are any of the towers included in phase 1? T minus 99 and counting. A backhoe appeared on site this week. it's going to take a while to build if all they have is that one piece of equipment. Even with one piece, it will still probably finish before Dolce Living on West Gray. Looks more like the digger is lost. Like it got separated from the rest of its digger family. Haha---Dolce deserves a little more respect. 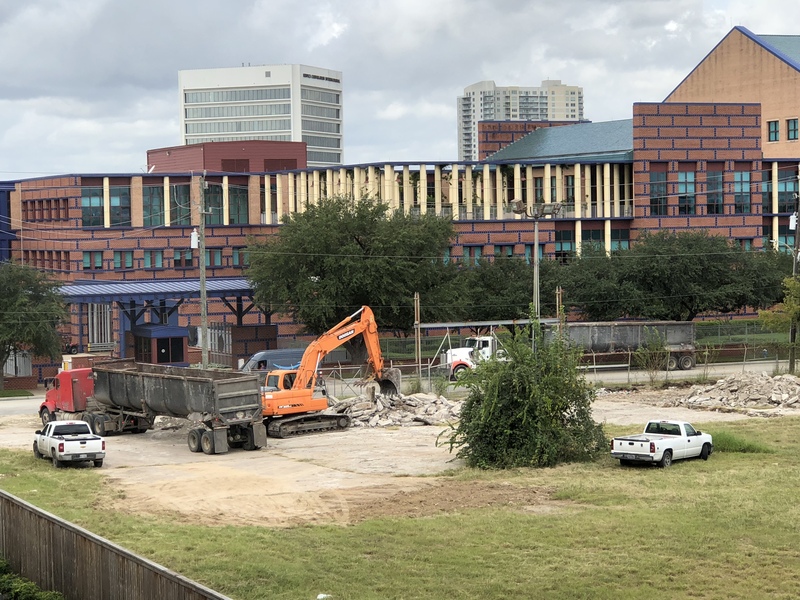 Le Palais on W. Gray started a full year before, and it's still under construction. Do the plans still include a pedestrian bridge over Allen Pkwy? I think that would be a cool feature. Looks like they nixed it last rendering I saw. I could be wrong. Pedesestrian bridge was unnecessary. Use the crosswalk. I noticed that too.. too bad. 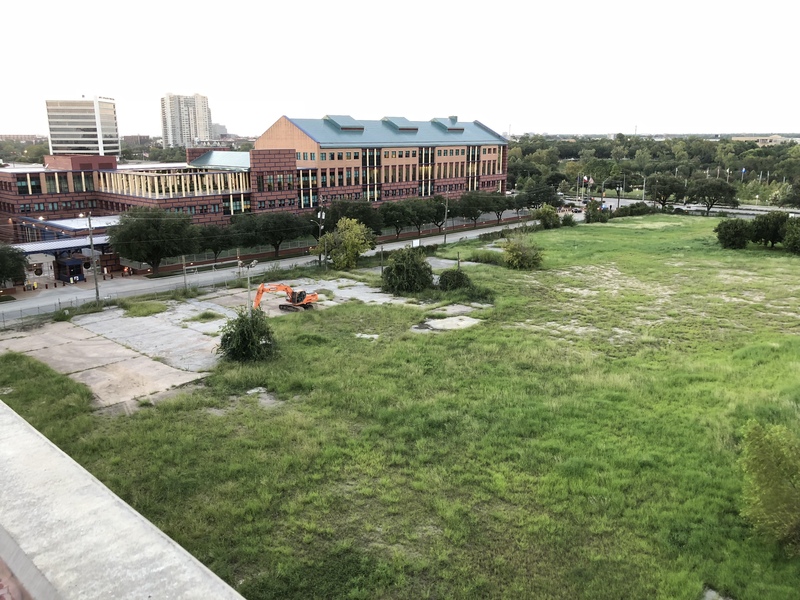 I agree that it wasn’t “necessary”, escapecially with the new Allen parkway pedestrian improvements, but there was just something cool about the idea of a private developer directly tying in their project to Buffalo Bayou Park. Any update in the past week and a half or so? It looks great on paper. Now, we have to hope it gets built. They're already into the 4th quarter of 2018 so now its time to see some boots on the ground! Interesting line at the bottom says "For Investment Opportunties [sic], Please Contact," and then there are two names with "eb5" in their e-mail addresses. I wonder if they have all their financing yet? From what was previously discussed, it sounded as though they were ready to go on the tallest building but would flesh the rest out later. Looks like some more progress on site. Not sure what is going on. Any thoughts? They’ve only been working on the southwest portion of the land. Looks like a small parking area and/or a place to put a construction office trailer, to me. Looks like its going to be a permanent foundation to me. Or at least a long time and not just a temporary site for the construction trailers. At least there's some activity on the site. Doesn't look like the kind of foundation you'd pour for a 20-story building, but it seems too big to just be a sales office. Likewise, I am confused as to what this will be fore as it does not look like what you'd expect for a tower foundation. As suggested earlier in the thread. Maybe this will just be a leasing office, or construction office. Makes sense to me. 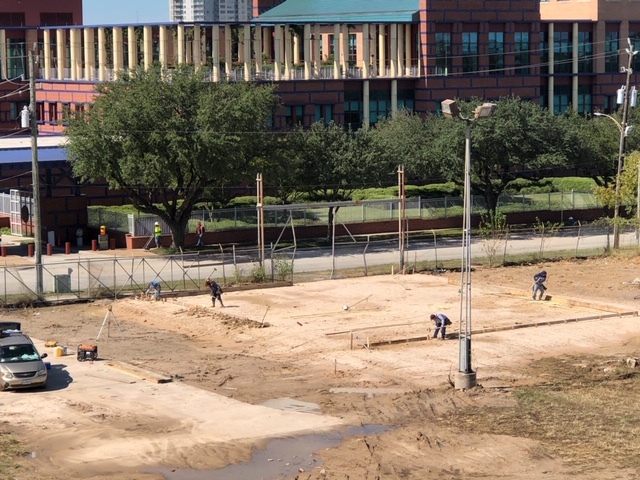 I thought they were putting in a christmas tree lot at first, before I saw the last image of the foundation mattes. So this is confirmed a leasing office? I'll get excited when I see an actual building go up. Go down to Dunlavy and Allen Parkway where there stands a wonderful leasing office thats been there for almost ten years and what does Regents Square have to show for that leasing office? I don't think anyone has confirmed yet, but it almost certainly looks like a leasing office. I was wondering why they needed such a heavy foundation for a leasing office (instead of a lightweight post/beam) but I guess this is a good example. Thats a pretty light foundation actually. Grade beams and a slab on grade. Dont have any pictures showing drilled piers, but this foundation looks like something youd see for a residential building. My thoughts exactly. Was wondering what you might have to say about it. Looks like a slab you would see out in the burbs for a 1-2 story single fam. Once they do build what they want to build it's not exactly going to cost an arm and a leg to demo. Why do you need a permanent foundation for a leasing office? Why not just do concrete blocks and posts on top of the ground instead of pouring concrete into the ground? Like a construction office. I'm sure the answer is, because leasing offices have to look/feel nicer, but still think it's silly.